Bourbon and Maple Roasted Sweet Potatoes – Happy Thanksgiving! From the minute I saw this recipe in Bon Appetit (November 2012), I knew I was going to make it for Thanksgiving. 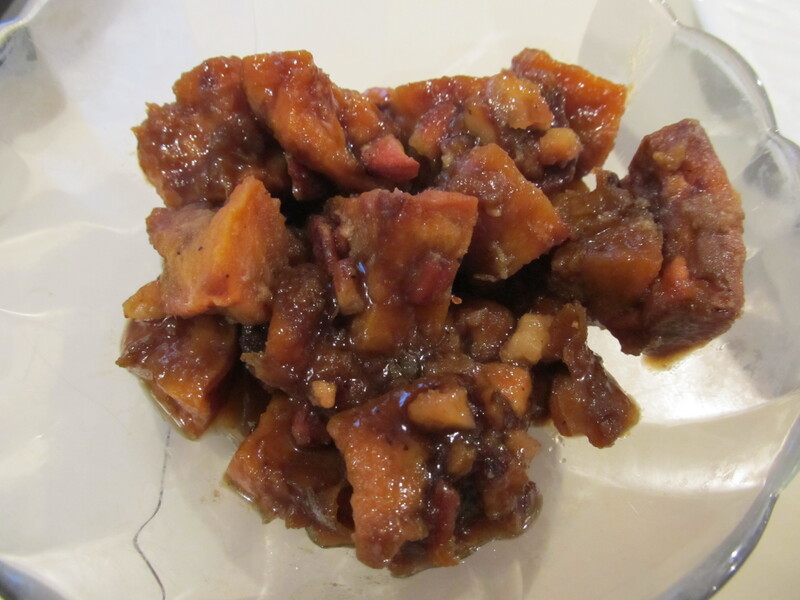 I am usually the Sweet Potato/Yams girl – and I usually bring Candied Yams. But I am getting tired of plain ole candied yams. I wanted to step it up this year. And I am really not into the whole marshmellow thing. I cant stress how easy this recipe was to make. 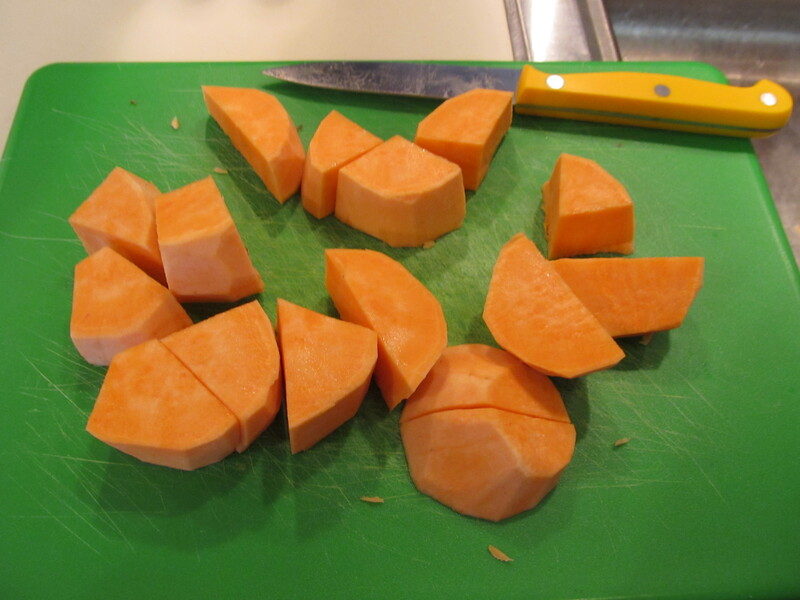 The hardest part about it is peeling and chopping the sweet potatoes. And even that’s not a big deal. Get the potatoes all nice and roasted and crispy if possible. So delicious. 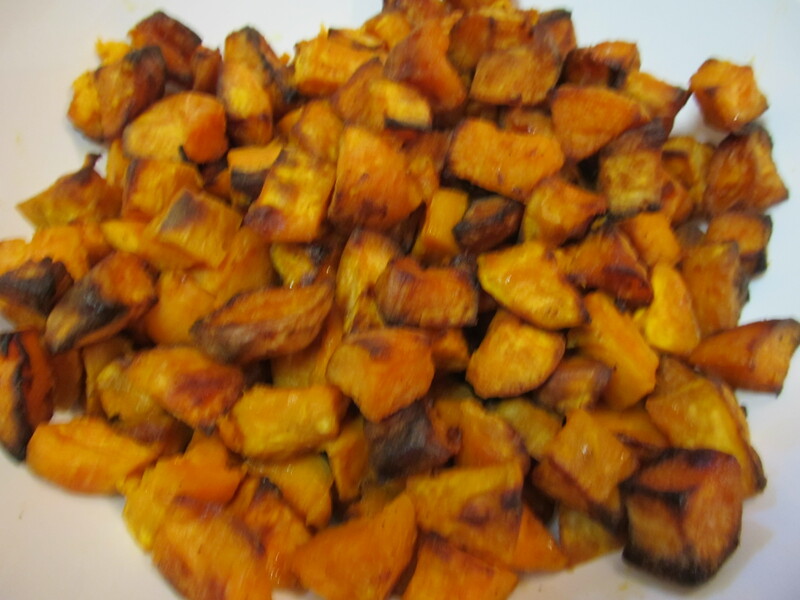 I could sit down with just the plain roasted sweet potatoes……yum! 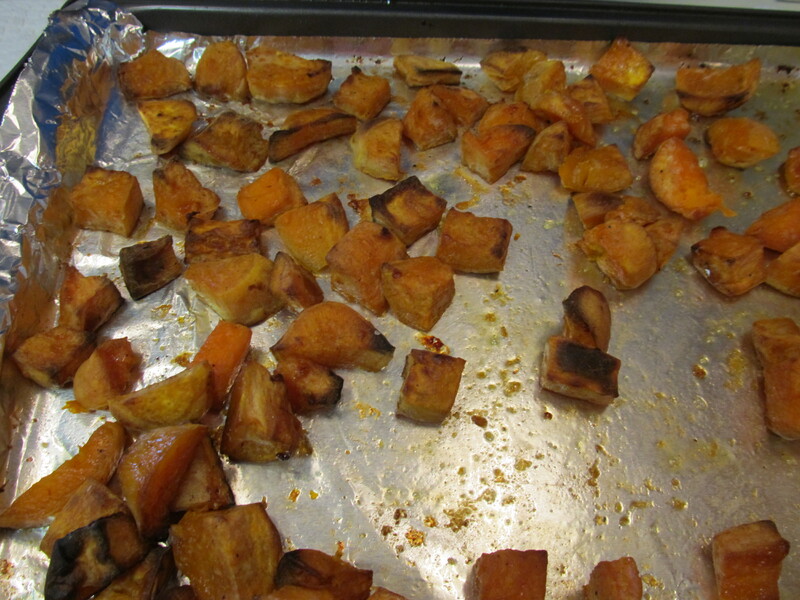 You make the sauce separate from roasting the sweet potatoes. 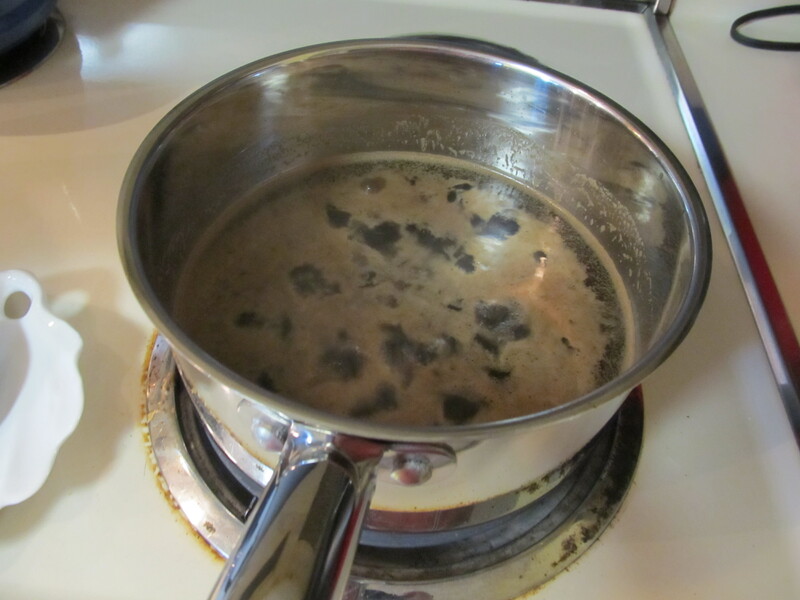 Then pour it on right before serving and add the toasted almonds. It is so good – you can really taste the coffee and bourbon flavors. The flavor complements the sweetness of the potatoes. 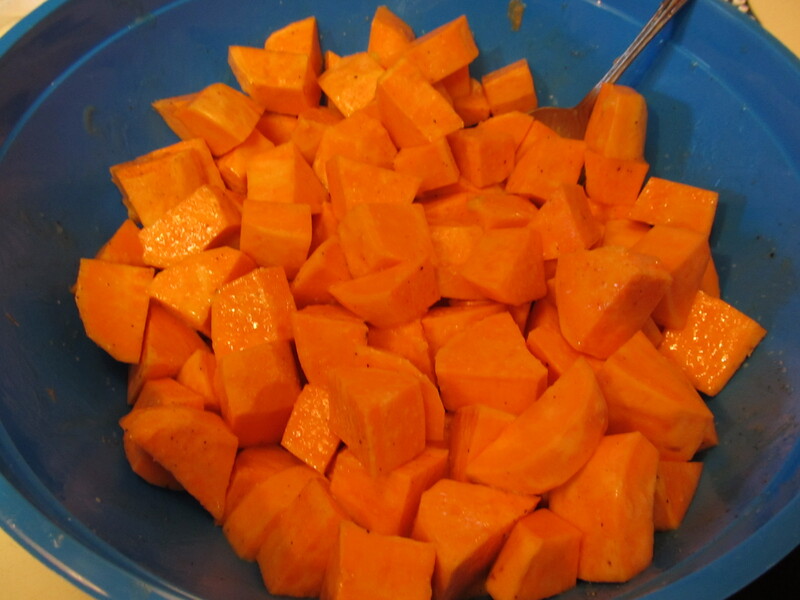 This makes a perfect side dish anytime, but really glams up the thanksgiving table if I dont say so myself. 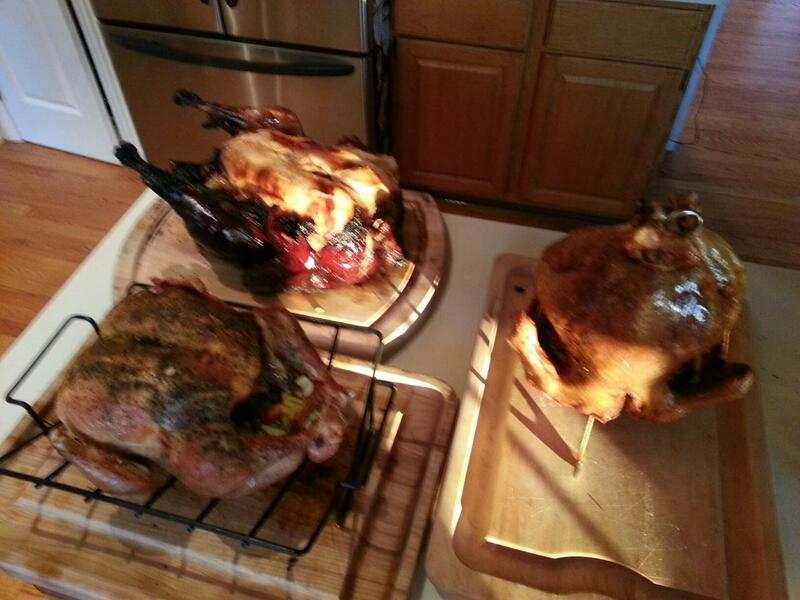 Here is a pic of our 3 turkeys that my brother Pat made – baked, smoked, and fried……everyone had their favorite type of the night. But they were all so tasty and well-cooked. My brother makes some goodass meat! Hope everyone had a great Thanksgiving with family and friends!! !